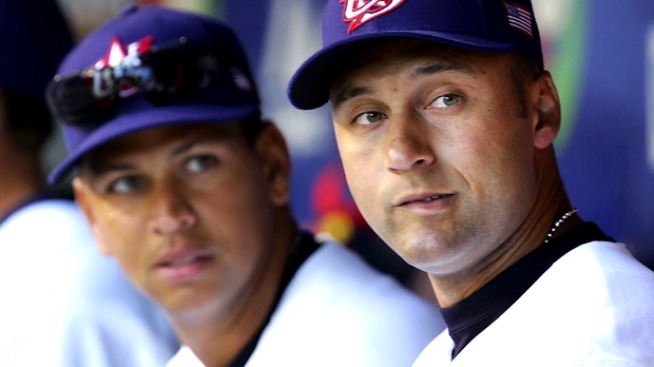 Torre claims that A-Rod was obsessed with Jeter. Former Yankees manager Joe Torre claims Alex Rodriguez was known as "A-Fraud" to his teammates and slams the slugger for his "single white female"-like obsession with Derek Jeter in a tell-all book. Torre claims that A-Rod requested a personal assistant at the clubhouse and earned the nickname "A-Fraud" from teammates because he fawned over Jeter like many of the team captain's many female admirers, according to the New York Post. The second winningest manager in Yankee history unleashes a litany of personal attacks against former players and Yankee brass in his new 447-page, tell-all book "The Yankee Years," which was co-written by Sports Illustrated reporter Tom Verducci and published by Doubleday. Torre, who became manager of the Los Angeles Dodgers after 2007, says he was betrayed by Yankee general manager Brian Cashman when he didn't go to bat for Torre with top brass in contract discussions, the Post reported. He also said team doctors first informed Yankees' owner George Steinbrenner that Torre had prostate cancer before telling him during spring training in 1999. Ex-Yankee manager Joe Torre slams his former players, general manager and team owner in a new book.